Planetes :: Update Alpha 0.021 New parts and Fixes! Update Alpha 0.021 New parts and Fixes! Join the community on our Discord[discord.gg]! This patch adds new parts to diversify building options, and brings a full batch of new fixes and improvements. 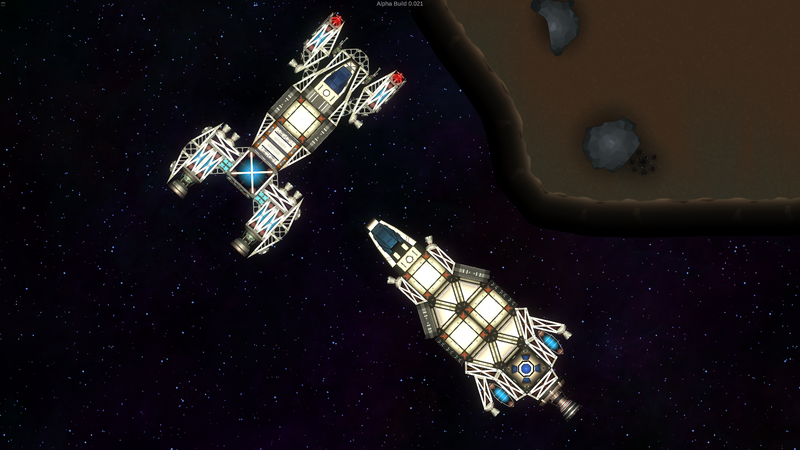 Added 7 new parts which should help make ship designs more interesting. These are all structure parts. Added the option to have your character move relative to the direction your character is facing rather than relative to the screen. Toggle this with Z key. When mining resources will now be placed in your backpack by default, and will only be placed on your hotbar if your backpack is full. Lowered the amount of oxygen available in an ice node. Improved the maglocks locking distance and smoothness of operation. Slightly lowered the flame width on a small chemical thruster. Backpack visuals and sized changed to improve readability. Inventory tiles now update based on container size. Stopped inventory item quantity values from displaying long decimal values. Fixed issue with resolutions other than 16:9 not scaling the UI properly. UI should function on most resolutions now. Fixed an error that was caused by an active thruster being destroyed. Fixed an error which occurred when parts with roofs were destroyed in some situations.